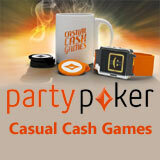 PartyPoker Casual Cash Games have been released with the latest software update. The new games are for recreational poker players who prefer to play a single table and excluded opponents who are multi-table grinders. 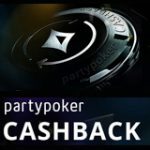 The new PartyPoker Casual Cash Games should be friendlier to players who are looking to have fun at the tables, chat with players and deter the daily poker grinders from targeting beginners or less skilled players. Skilled players will still be able to play on multiple tables and a new feature has been implemented to make sitting out on multiple tables much easier. 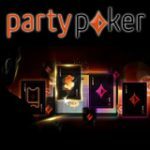 The new PartyPoker software is aimed at recreational poker players and features Achievements, Missions and rewards. Playing against a table of multi-tablers can be extremely boring as they are either folding or raising and never interacting with players at the table. Sometimes the game-play can be slower with players who multi-table as they have several decisions to act upon at the same time. 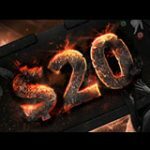 The new PartyPoker Casual Cash Games will eliminate some of the problems associated with multi-table grinders hunting players who are still learning to play poker online. 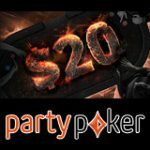 All players seated at the PartyPoker Casual Cash Games will not be able to join another cash game table however players may join as many tournaments as they like instead. 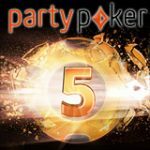 The new PartyPoker Casual Cash Games tables can be found in the lobby and feature a smiley icon next to the table name. 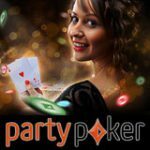 It's a simple concept which could become the next standard at every other online poker site although many skilled poker players probably would not approve of the PartyPoker Casual Cash Games. Regular cash games will still be available for multi-tabling grinders and a new feature has been added to keep the grinders happy. Players will have a new option in the lobby for sitting out on all tables instead of trying to click the sit-out button on every table when you need a toilet or coffee break. (sit out all - ON) - if the option is enabled players can sit-out on any table and all other active cash game tables will sit-out on the completion of the next hand. Players seats will be reserved for 20 minutes or 27 hands before being removed from the table. (sit out all - OFF) - if option is disabled players will have to manually sit-out on every table. Players will be given 15 seconds to return to the table before being removed from the table. The new feature will also prevent players from boycotting PartyPoker by sitting out on all tables and preventing other players from playing.